At least 12 people were killed and 20 others critically injured late Friday when a fuel tanker exploded in Nigeria’s Cross River State, Anadolu Agency reports. 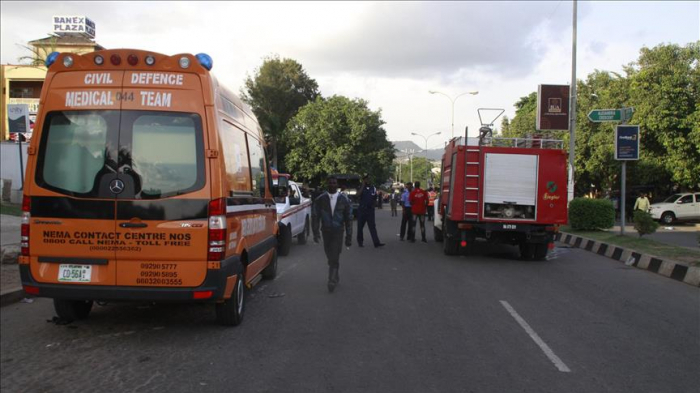 “We have confirmed that 12 people died and 20 others were injured from the explosion in the Odukpani local government area,” Ugbo Irene, a deputy superintendent of police, told Anadolu Agency. Irene said police were immediately deployed to the scene after the tanker truck overturned while attempting to navigate a turn and spilled fuel, but efforts to disperse local residents who were scooping up the fuel with metal containers proved futile. “Our team had to leave before the tanker caught fire. This is not the first time this has happened,” she added, lamenting that locals often ignore warnings to steer clear of areas around fuel spills due to the likelihood of an explosion. Nigeria has repeatedly recorded incidents of multiple deaths from explosions as a result of such spills largely because residents often crowd the area to scoop up fuel or watch others doing it. More than 150 people died in a similar incident in December 2006 in the capital, Lagos.